So many of us are on LinkedIn nowadays, but it's not just the place to go when you're job hunting. Did you know what a powerful (and free) tool it can be for marketing your small business? ● Over 300 million users worldwide. ● More decision makers than Twitter. ● 227% more effective than Facebook for lead generation. ● It's about you AND your business. ● It's used for personal branding, selling your product or service, marketing your business, and recruitment. Set up your account properly. Create your personal profile first. ● Use a professional-looking photo of yourself. ● Profile photo between 200 x 200 and 500 x 500 pixels. ● Describe what you do rather than your job title e.g. ‘Manager’ – give keywords. ● Include your website and other social media links. ● Write a summary. Include a call to action. ● Use images where possible. ● Connect with as many people as possible. ● Interact with your contacts: comment, answer questions, offer advice, say congratulations. ● Follow Influencers and share their content e.g. Richard Branson. ● Follow lots of companies, including your competitors. ● Connect with people you have met or worked with. ● Put a personal message in your request to connect. ● Ask for recommendations – in the text box ask for recommendations for specific things. ● Endorse and recommend others. ● Use the search box, e.g Groups → web design, Posts → web design. ● Advanced search for people, e.g. Marketing Manager within 25 miles of CV31. ● Use speech marks for specific job title. Groups are great for sharing posts and entering into a professional dialogue with people in similar industries. ● Actively participate in groups. ● Search for questions related to your area of expertise and answer them - include links to your related blog or website page. ● Join groups where your customers and prospects are and then create content such as articles, how-tos, guides and blog posts that feature subjects relevant to that group. ● Participants who comment on group discussions get four times the number of profile views. ● Maintain a 7/1 ratio - seven useful pieces of content to one promotional. ● Conduct market research by asking a question. ● You can send a request to connect to another group member without their email address. ● You can also send newsletter e-shots to your group. ● Interests → Companies → Create a company. ● Use a cover image that reflects your branding and website (size 646 x 220 pixels). ● Write a great description of your business. Use keywords, so people can find your LinkedIn company page through Google searches. ● Add products and services. ● Make sure your most important product is listed first. ● If you have employees, ask them to connect with your page. ● Publish some company updates to make your Page look useful. Start creating useful, meaningful, interesting, or entertaining content that your target audience wants to read and see. ● Actively engage with your followers. ● Once you have over 100 followers, you can use targeted updates. You can target by company size, industry, function, seniority, geography or language. ● Check the Analytics section. 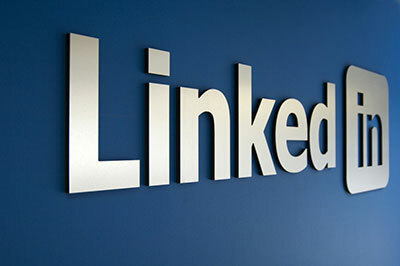 We're on LinkedIn ourselves, so why not follow our business page and perhaps we can start talking and sharing.